A friend asked me for a homemade contribution to the Brownie Christmas Fair. 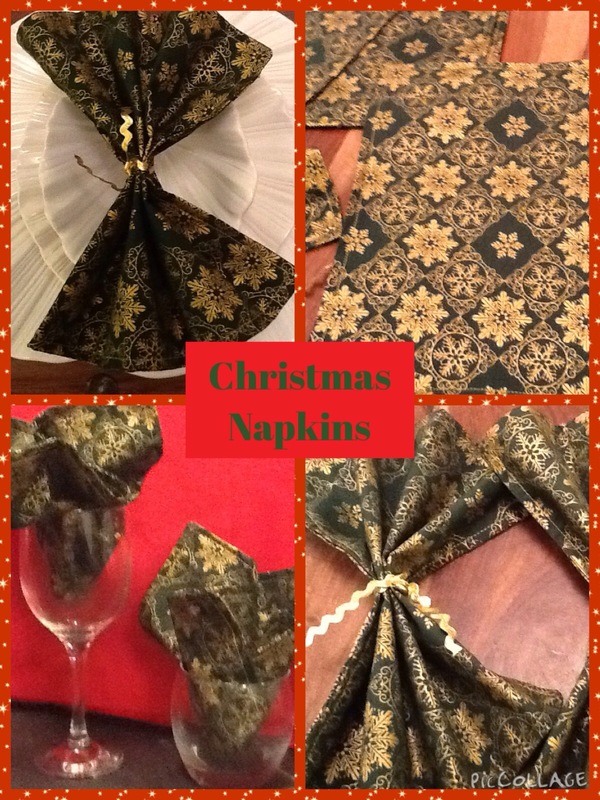 The quickest and easiest item I could think of was some napkins for the Christmas dinner table. I used a metre of craft cotton cut into 16 equal pieces. I sewed 2 squares together right sides facing and left a small gap to turn through. The fabric did not have a pattern on one side so felt they would look much nicer. I snipped the corners too so I could get them nice and pointy once they were the right side. I sewed around the napkins with a 1cm edge in gold thread. Funnily enough, I now have to make my friend and her Mum some for their dinner tables!! 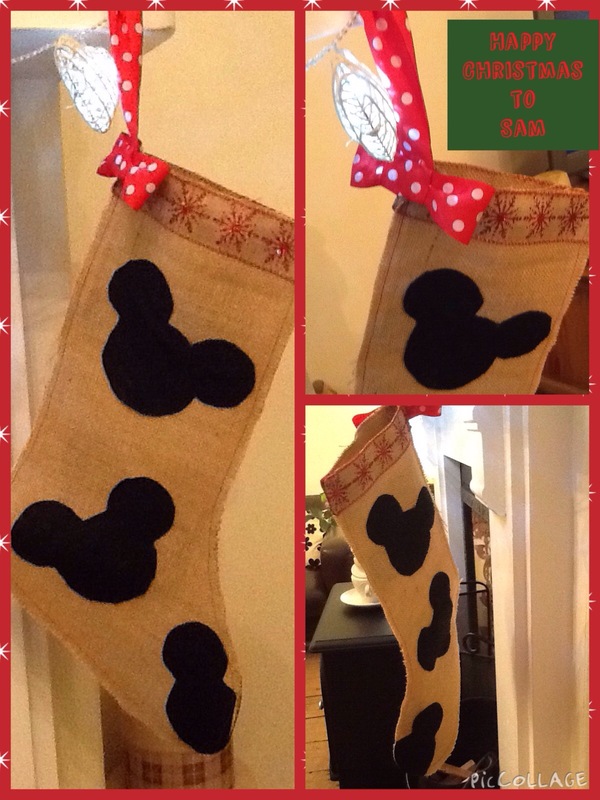 I also made some lovely Stockings as gifts for little people. 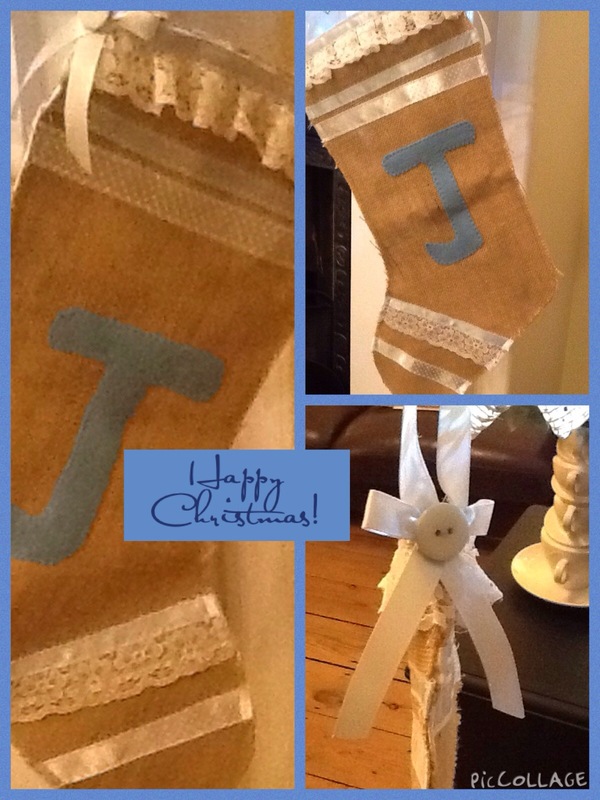 This stocking was for a brand new baby boy…so I made is as frilly as I could get away with for his first Christmas. I also made this for Lisa’s Disney loving little boy! Lisa is my link at White Tree Fabrics , she is always so positive about my sewing…she makes me feel great! 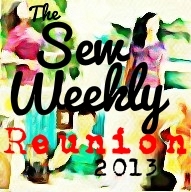 Do you have someone who always makes you feel like you are the best sewist ever? It makes such a difference! 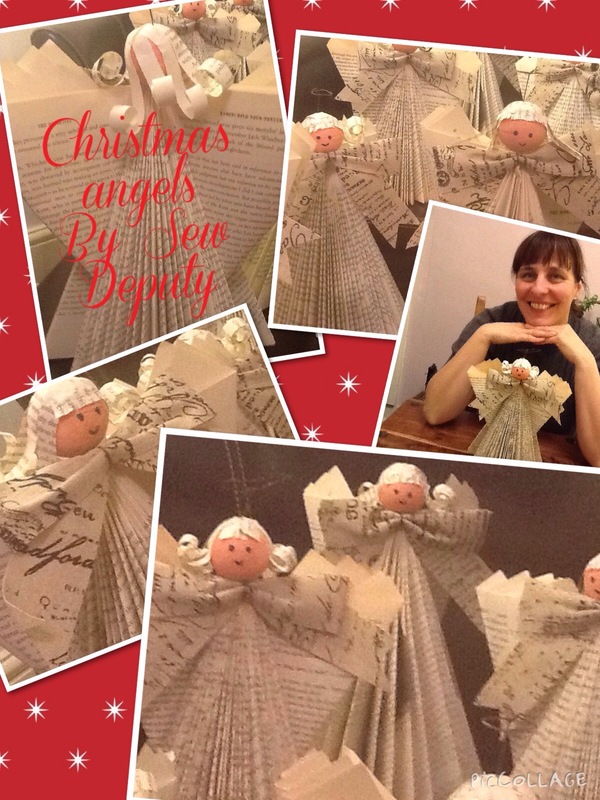 At work someone had made some beautiful angels to sell but when I enquired if I could buy one I was told she was too busy to make any more…..I got Annice on the hunt on the internet and managed to find some instructions. 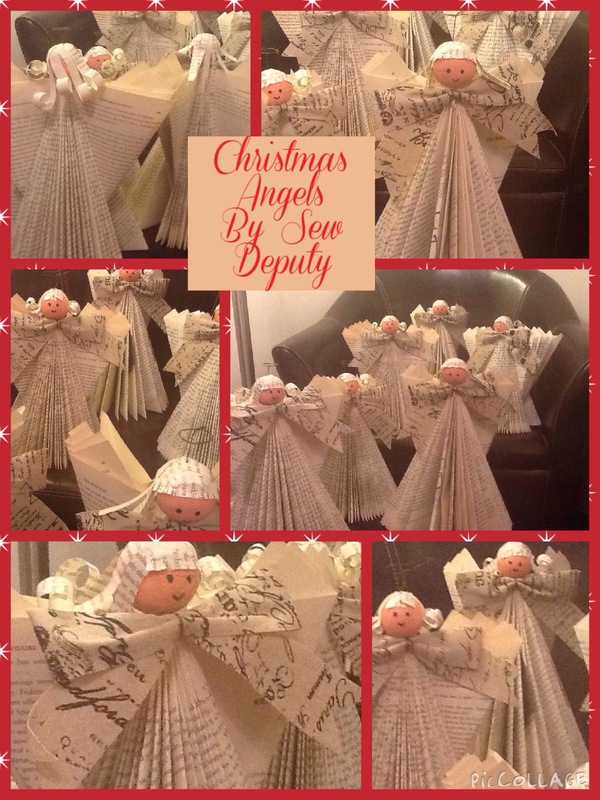 It was so easy to make them and they are such lovely gifts I have been busy making them for everyone! Who doesn’t want one of these on their shelf at Christmas? I love making Christmas gifts! I do love it still! Can you imagine a Minnie one with a bow on each motif??? Guess what you are getting for Christmas next year! Lol and don’t forget an orange! You have to have an orange in there somewhere! Actually, you could get a chocolate orange? Do they count??? I love all of your Christmas creations. Those angels are delightfully pretty. Hi Linny, I can’t believe you had to come home due to rain! We have rain here too and gales! Also a little snow yesterday and it is so cold! Hope you get a better week next time! What are you sewing? Wild weather over here in Australia too. Bushfires and bad thunderstorms/lightning strikes. High temps up North so it looks like it is going to be a long hot summer down under. No sewing lately or craft of any sort. I am going to teach my daughter how to sew a blouse as my next project. She is on holidays from work next week so we will try to do it then. It will be a simple one with no sleeves and a tied bow at the neckline. I am looking forward to making it. Very classic napkins, too ~ good for Christmas New Year’s! You always have a lovely table I notice! I have a nice runner so have bought fabric to match for napkins! Hahaha! Still have to sew them! Lol! Could be a Christmas Eve last minute job! Will do post on my Christmas dinner table tho! Will you?? I have just put 3 trees up! Hahaha I am completely over the top! Lol! I don’t do a holiday table as such as there’s no space. What I’ve already posted is probably all I’ll do, with maybe a sparkly bauble or two. But if there’s anything else, will let you know. Maybe you’ve enough trees now?! Know you’re having fun, which is what’s important!